The Greco-Roman portion of the 2017 CISM World Military Championships begin Thursday in Klaipeda, Lithuania. 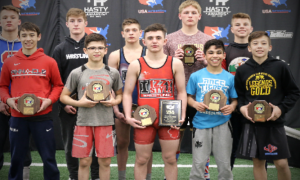 If you have been paying attention, there are interviews posted with four of the eight US Military World Team members — Brandon Mueller (71 kg, Air Force), Courtney Myers (80 kg, Army), John Stefanowicz (85 kg, Marines), and Daniel Miller (98 kg, Marines). Be sure to check them out when you can. The World Military Wrestling Championships (or Games, depending on if it’s an odd year) is an event that often takes place in an echo chamber in the United States, which is mind-boggling considering the level of competition. 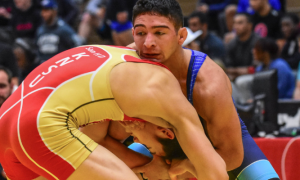 Many of Greco-Roman’s best and/or most-credentialed athletes enter into the tournament. That is due to usually one of two factors: either because a lot of wrestlers from Eastern Europe or Asia double as service members; or, because they are signed up by one of their country’s’ respective service branches simply to participate at the tournament, ala free agents in Major League Baseball, though that latter example is stuffed with conjecture. But you get the picture. Nevertheless, big names are certain to be sprinkled across every bracket. Going back over the last 11 years alone, there have been a slew of World and Olympic placewinners who have won at the CISM Worlds. Names like two-time Olympic silver medalist and 2011 World Champion Rovshan Bayramov (55 kg, AZE — 2016 CISM World gold); 2013 World Champion Nikita Melnikov (96 kg, RUS — 2015 CISM World gold); 2015 World bronze medalist Aleksander Chernetski (120 kg, UKR — 2008 CISM World champ and multiple-time medalist); 2013 World Champion Yun Won-Chol (55 kg, PRK — 2013 CISM World gold); 2011 Senior and two-time Junior World champ Saied Abdvali (74 kg, IRI — 2013 CISM World gold), and so on, and so on, and so on. The US does not necessarily send a delegation each and every year (like 2016 for example). 2017’s squad, which offers a lot of intriguing possibilities, appears on the surface to be a very strong one. Senior World Team members and former Olympians Ildar Hafizov (59 kg, Army) and Ellis Coleman (66 kg, Army) are on board. So is Miller, who is one of only a handful of Seniors this year to have medaled multiple times overseas in 2017. Throw in the surging Stefanowicz, the experience of Myers, the technical polish of Dillon Cowan (75 kg, Army), and the (relatively) youthful exuberance of both Mueller and Eric Fader (130 kg, Marines), and what you have is an interesting yet talented collection of athletes capable of putting together a big team performance. There is only one problem and it goes back to the whole “echo chamber” thing mentioned above — as of now, the 2017 CISM World Military Wrestling Championships are not scheduled to be live streamed. Should that change and a stream is made available, we will endeavor to get that news to you ASAP, so check back throughout the week. 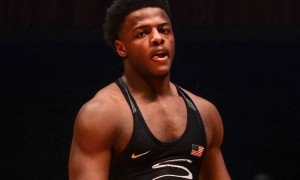 With a fresh season upon us and the U23 World Team Trials right around the corner, we will be showcasing news and profiles from the country’s (only) two collegiate Greco-Roman programs coming up. Yesterday, we released Northern’s roster for the U23 Trials. In case you haven’t seen it, the list is very long. 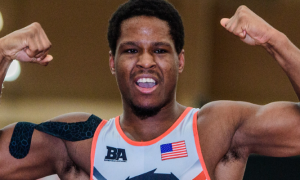 Also pertaining to NMU, a feature on Austin Morrow (66 kg) will be live imminently along with another roster, this one for Panama’s Eduardo Campbell Cup. For Williams Baptist College, head coach Jonathan Drendel will provide a state-of-the-team for us along with his list of athletes for the Dave Schultz Memorial in November. Expect to see some pieces highlighting a couple of WBC wrestlers, as well. For those into minutiae (we know you’re out there), we have made some alterations that are barely worth mentioning. But our readers into results and bookkeeping will probably find some relevance in these changes. 1. Previously, if a wrestler took second place at an event, we automatically listed him as a “silver medalist.” That will no longer be the case for every tournament. Any tournament that is a Nationals or Trials (World Team, Olympics, or otherwise) will now declare the second-place finisher as a “runner-up.” World Championships, Olympics and every other event will still read silver medalist (e.g., 2015 World silver medalist). Why? This is more of an aesthetic/readability decision than it is anything else. 2. Hyphens for clubs/schools will be phased out and replaced permanently with forward slashes (e.g., John Doe, NMU/OTS; Jim Doe, NYAC/OTS). Aren’t you glad you were made aware of this information? We are working to provide timely recaps of the CISM Worlds Thursday and Friday and will keep you informed on what’s going on with all of that as soon as we can. 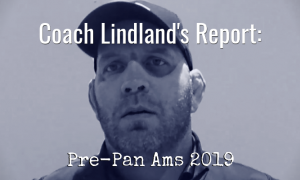 We will have a Coach Lindland’s Report this week. A Q & A with former Oklahoma State wrestler Austin Schafer. 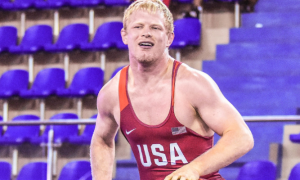 We last saw Schafer impressively fight his way to a fifth-place finish at the World Team Trials. 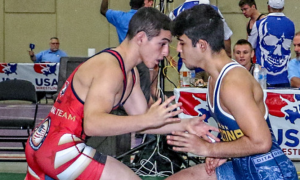 Now he’s training in Ithaca and embarking on a full-time Greco-Roman career. The latest podcast episode will be up. A conversation with a very talented, but very reserved star athlete.